On that day, Vipin, Vikas, and I had a heated conversation about the teachings of Buddha. They were not against Buddha, but they thought Buddha's approach to life is impractical and of no or little use. Though the things ended up in good, and they agreed with my points, but instance left an impression on me. 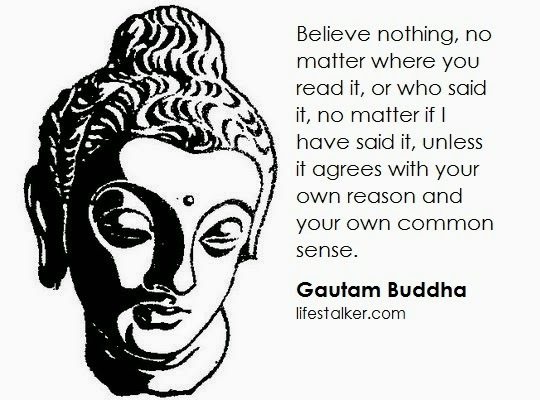 I mean, people really don't know about the Buddha and declare his teachings of no value without reading him. So I decided to pen down this blog post in order to present my points, why Buddha is as practical as you think. 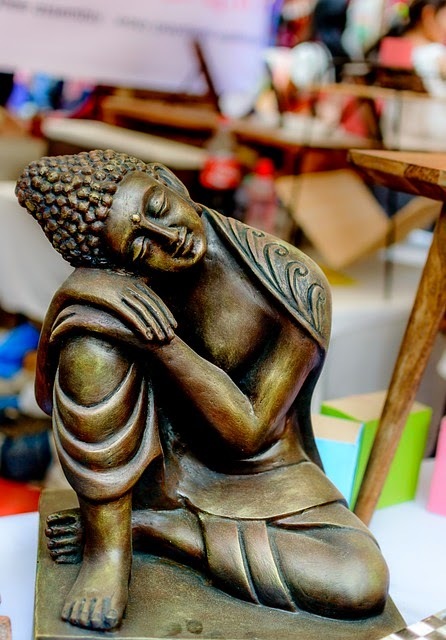 Buddha's approach to life is not about giving up on worldly things and live like bhikkhu (monk). In reality, it is about embracing things and live your life with a systematic approach. You are what you think. 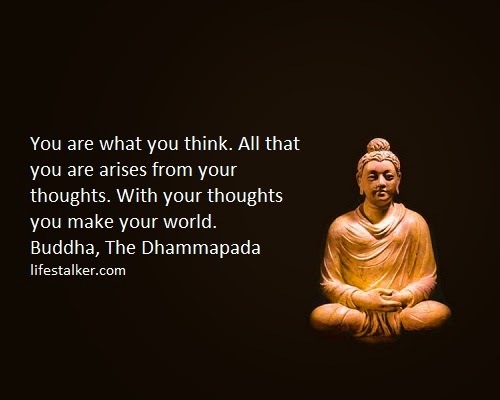 All that you are arises from your thoughts. With your thoughts you make your world. It is about the way you think about the world, i.e., Your ATTITUDE. If you think positively, the positive things will happen to you. And if you nag about the situation, and look things negatively, most probably negative things happen to you. So be positive because being positive only make you a better man. It’s a new day and you need to start a fresh. 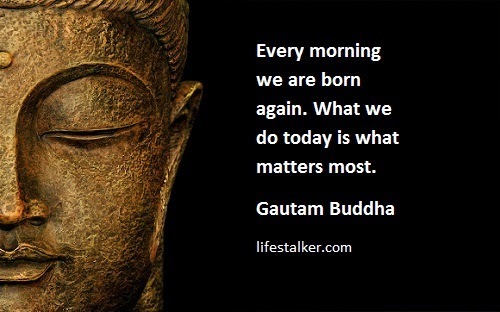 Forget your past glories or fallouts but what you are going today is what really matters. You will be judged on your present feats not on your past performances. For e.g. In a football match, what really matters about your favourite team, not their past achievements but their present day performance. No one is going to love or appreciate you unless you are not going to love or appreciate yourself. People appreciate those who appreciate themselves. Transform yourself. Do some workout. Get some new clothes. Be smart. Be confident. 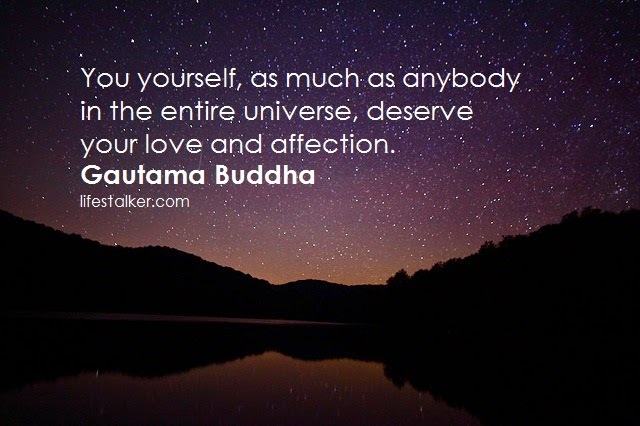 And when you start loving yourself, you will find that people also start appreciating you. 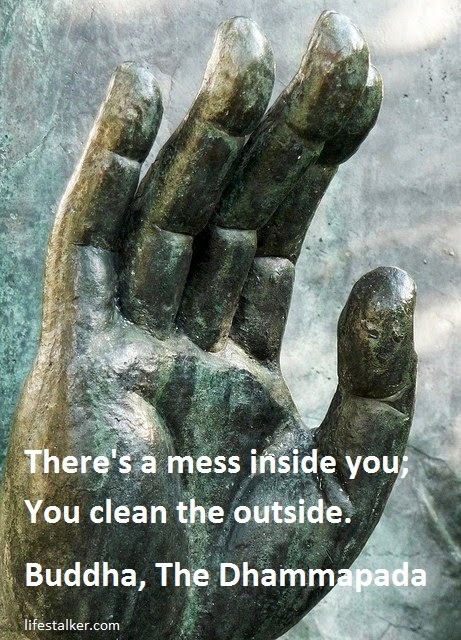 There's a mess inside you; You clean the outside. Sometimes the problem is not in our looks but it is in our attitude. We think, everything will be fine after doing this or that but the problem is never going to solve (even if we have got momentary success). The problem is only going to solve when we change our attitude, working style, and way to see the world. The above quote is self-explanatory. Your anger is not going to solve any problem in this world. It will only make things worse than ever. So why be angry? When you can work things out with a smile. 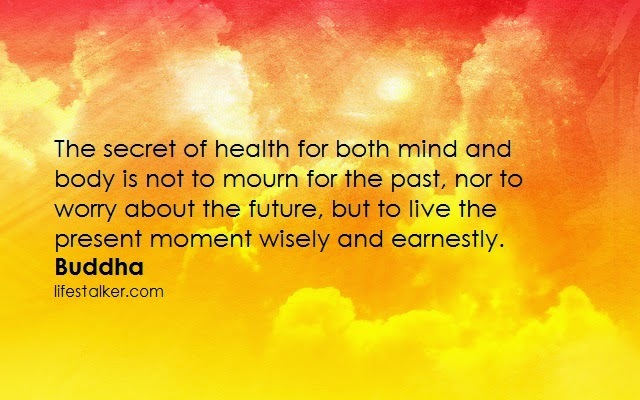 Living in present, and living with a positive attitude not only makes your happy person but also a healthy person. So live in the present moment, because you never know, what you will going to experience in this very moment. We are all going to die someday, so why we are fighting? Why we are wasting our time in things we don’t love? We are planning for future, that we haven’t seen and we are regretting over our past mistakes. Please go enjoy your life because you might not able to do same in next moment. There is no path to happiness; happiness is the path. There is nothing like a definite way to absolute happiness. Happiness is not some destination. 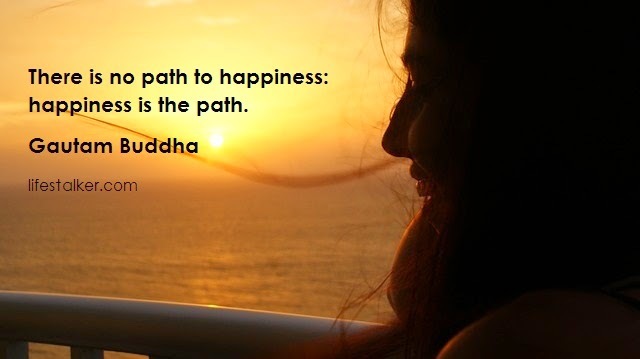 Happiness is itself a path, it is your journey. If you live in present moment and live your life positively, it is happiness. Have you ever seen a flower? Then you will know, what I really mean. And you know what I really means. 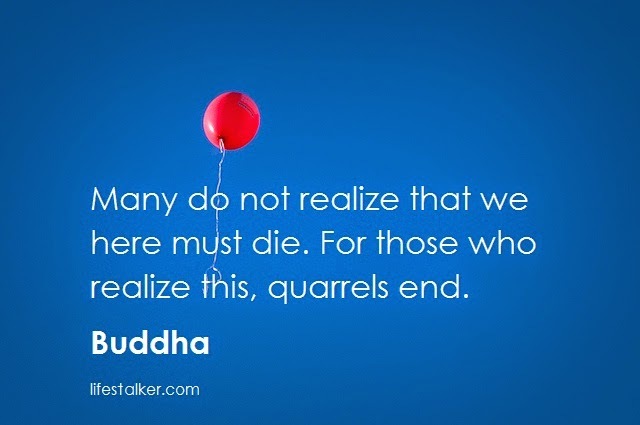 Hey,nice to see your writing with Inspiring Buddha Quotes.As Lord Buddha says,"Thousands of candles can be lighted from a single candle, and the life of the candle will not be shortened.Happiness never decreases by being shared. "Good day. 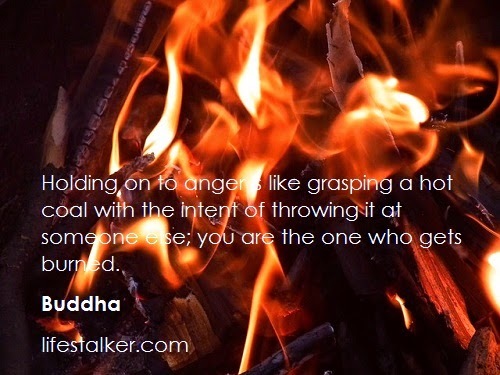 Nice collection with true words of the supreme buddha. I appreciate your effort very much with Metta. May spread the Buddhism whole world🌏. 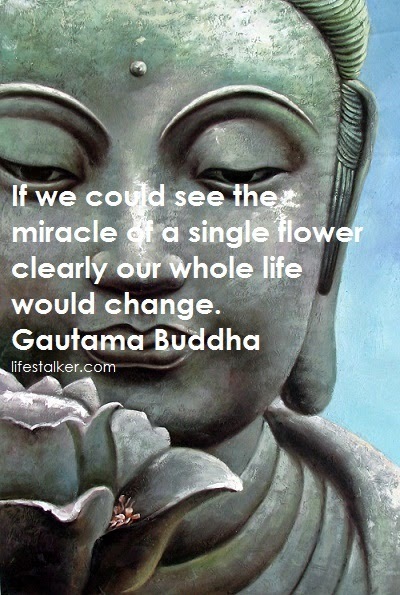 I pay my great salutation to the supreme Buddha. See his words, all are very important all the beings live in the universe.